Beverly A. Giant, 86, of Fort Wayne passed away on Saturday, March 30, 2019 at home surrounded by her loving family. She was born on March 22, 1933, a daughter of the late Jerome and Beatrice (Bodie) Schoeph. She graduated from Elmhurst High School. She worked as an accounting clerk at General Electric and L.S. Ayers before retiring from Macy’s. 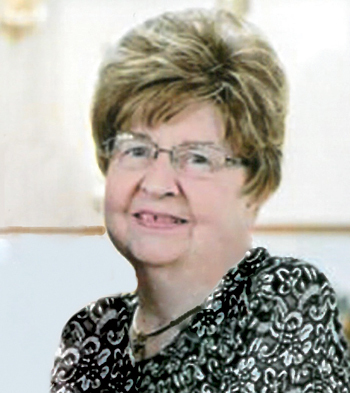 She was a member at St. Therese Catholic Church and her ladies club. She enjoyed Coney Island hotdogs, traveling, and collecting Precious Moments. She loved spending time with her friends, family, and dog, Sammie. Surviving family include her daughters, Kathy (Dale) Freiburger and Kellie (Jim) Steel; sons, Kirk (Kris) and Kent (Wendy) Giant; 13 grandchildren; many great grandchildren; and son-in-law, Steve Leffers. Besides her parents, she was preceded in passing by her husband, James L. Giant; daughter, Karen Leffers; and brother, Jack Schoeph. Mass of Christian Burial was at 11:00 a.m. on Thursday, April 4, 2019 at St. Therese Catholic Church, 2304 Lower Huntington Rd., Fort Wayne with visitation one hour prior. 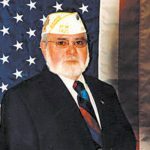 Visitation was also from 4-8 p.m. on Wednesday, April 3, 2019 at Elzey-Patterson-Rodak Home for Funerals, 6810 Old Trail Rd., Fort Wayne with a rosary service at 8:00 pm. Burial in Catholic Cemetery, Fort Wayne. Memorials may be made to Turnstone or Bishop Luers. 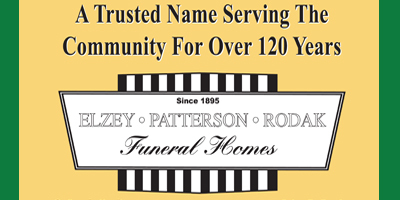 Condolences may be left online at www.elzey-patterson-rodakfuneralhome.com.